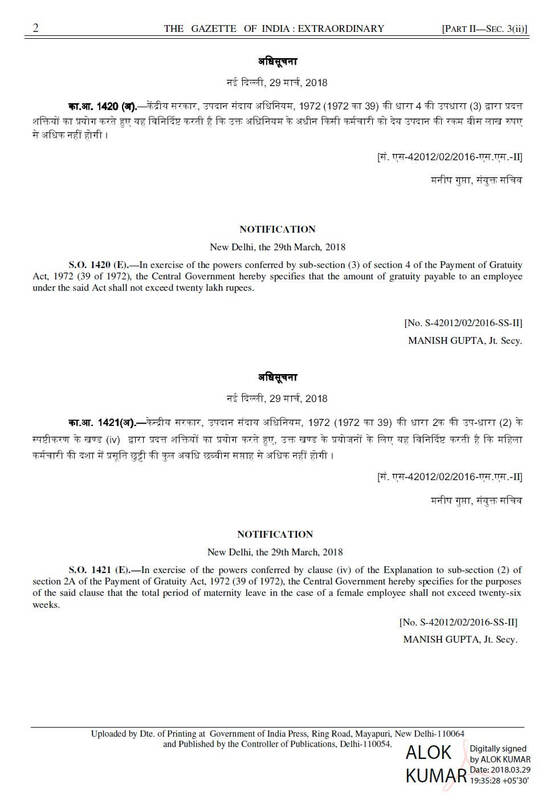 Sir, really it is surprising and disturbing fact that the Cabinet/Parliament cleared the Gratuity(Amendment) Bill 2017 for enhancement of Gratuity amount to 20 lakhs w.e.f. 1.1.2016 for all Banks/PSUs & Pvt.sectors as implemented for Central Govt. employees. But it is not understood why the Govt. 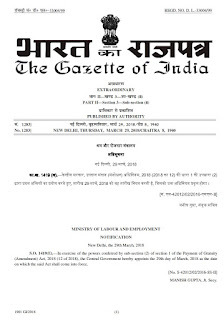 created such a disparity in implementation of the Gratuity Act 1972. What was the problem before the Government to ruin the retired employees of PSU/Banks/ Pvt. sectors w.e.f. 1.1.2016? The Cabinet Sectt. already approved in their draft note. 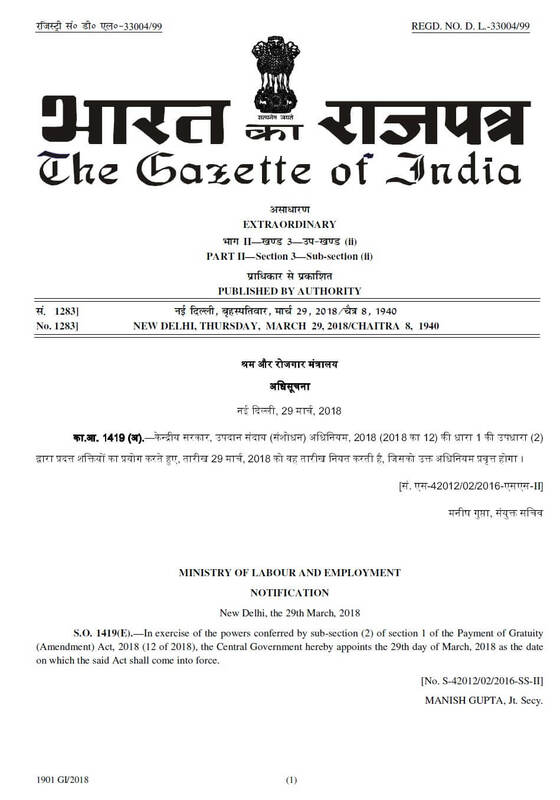 Payment of Gratuity (Amendment) Act, 2018 (12 of 2018), the Central Government hereby appoints the 29th day of March, 2018 as the date on which the said Act shall come into force.